Gigabyte has expanded its lineup of Intel X99-based motherboards with the addition of two new models that have full support for the latest Intel Broadwell-E processors from the very beginning. The models, which follow the already announced GA-X99-Designare EX motherboard, are called GA-X99-Ultra Gaming and GA-X99-Phoenix SLI and feature interesting designs, tons of functions and integrated LEDs. The new GA-X99-Ultra Gaming model is perfectly suited for high-end gaming machines. 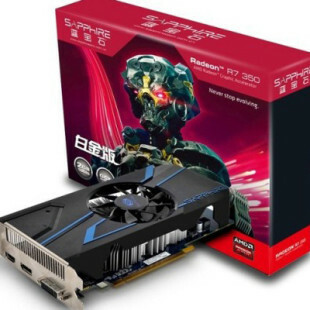 The board comes with massive integrated heatspreaders for the VRM and the chipset as well as four PCI-E 3.0 x16 slots, a number of ports for various devices – SATA Express, M.2, U.2, SATA 3.0, and single USB 3.1 Type-A and Type-C connectors. The board has the usual eight DDR4 memory slots, an Intel network card and a single PCI-E x4 slot. 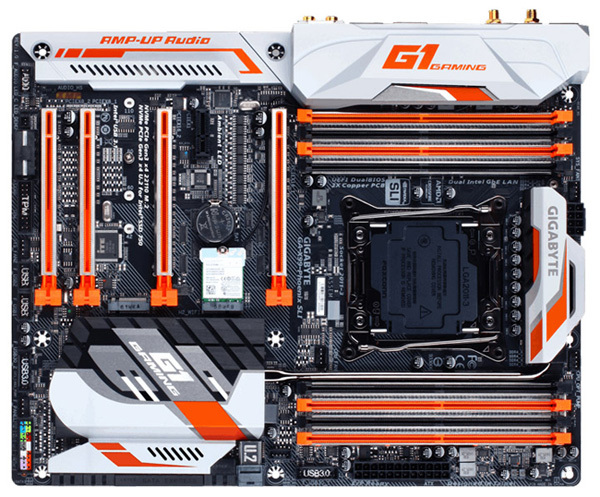 The GA-X99-Phoenix SLI motherboard is pretty much the same as the GA-X99-Ultra Gaming but comes with nice orange and white colors as well as with Bluetooth 4.2 and an 802.11ac Wi-Fi card. 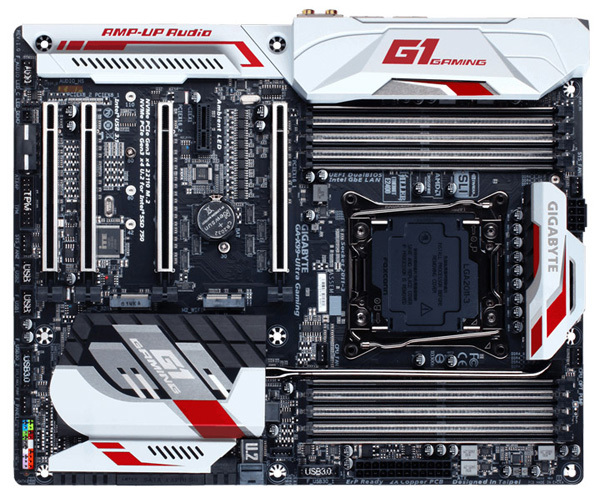 The two new Gigabyte motherboards are not commercially available at the moment but you can pre-order them now. The GA-X99-Ultra Gaming will sell for EUR 290, while the price of the GA-X99-Phoenix SLI is unknown.